Hlava páky řazení v hnědém vinylu + 2 plastové redukce pro závit. Pět poloh nákresu řazení, ve formě samolepící etikety a imbus. klíč zajištění. Spodní a horní část obepnuta chromovaným prstencem. Shift knob shift pattern brown. Vinyl gearshift buttons. 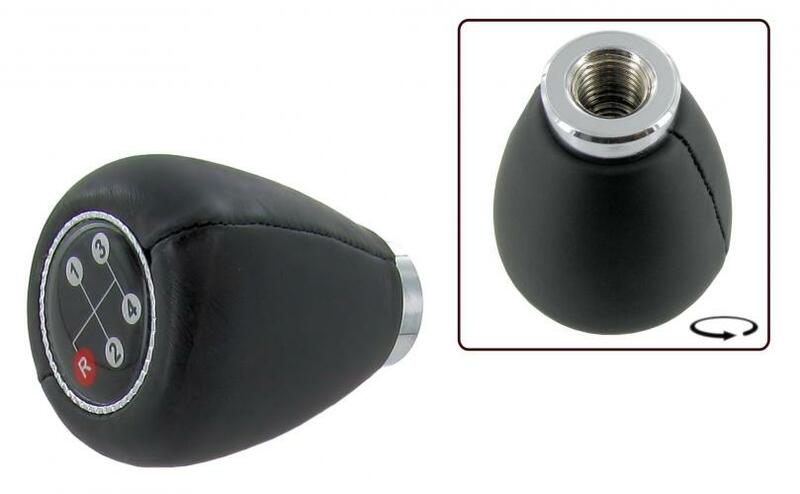 If you are tired of the simple standard gear knob you can choose to drop one of these vinyl-clad gearshift buttons. You have the choice of a button with the circuit diagram or with the world famous EMPI emblem. Installation is simple because these buttons are threaded, similar to original assembly. These knobs adjust at any age, because all thread sizes in the button are placed.